Unlike most traditional dentists, Bollinger Canyon Dental provides provides orthodontic services directly at our San Ramon dental office. With extensive training and continuing education courses in orthodontics, our dental team can effectively treat all types of orthodontic related issues to patients of all ages and Dr. Imran Rizvi has been recognized as a Preferred Provider provider of Invisalign in San Ramon. Practicing since he received his Doctorate of Dental Surgery from the University of the Pacific in San Francisco in 1997, Dr. Rizvi offers years of experience to the San Ramon, CA community. He begins every new patient case with a comprehensive consultation to ensure patients receive the best orthodontic treatment options possible. For patients looking for a subtle teeth straightening solution, Bollinger Canyon Dental offers Invisalign. Invisalign is an alternative to traditional braces that is growing more and more popular with patients looking for orthodontics in San Ramon. Unlike metal braces, Invisalign is removable, making it easier to clean or to take out for special occasions. Even if you leave them in, the clear, subtle design makes them much more difficult to notice than large metal brackets. Invisalign will not poke your mouth with sharp metal corners and wires, making for a far more comfortable experience. 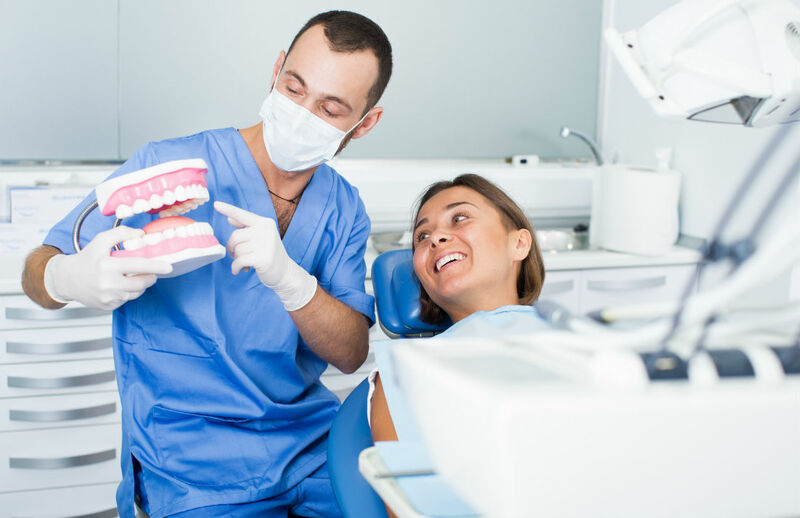 Regular follow-up visits are required to ensure the best results. Of course, not every case can be treated with Invisalign; some orthodontic cases must be treated with traditional braces, or a combination of the two options. Metal braces are still the best option for correcting bite problems that can cause temporomandibular joint pain (TMJ) and migraine headaches. Dr. Rizvi works with adult and teen patients to treat and prevent the multitude of symptoms that can be resolved with expert orthodontic care. Using the mobile lab for imaging both in the office and in patients’ homes, Dr. Rizvi uses image results and expert knowledge to outline the most effective, efficient and comfortable treatment plan for each patient on an individual basis, ensuring the fastest possible results. He will be able to help you choose the best treatment plan for your unique situation. If you or your family could benefit from braces, schedule a consultation with a leading name in San Ramon orthodontics. Dr. Rizvi and the expert staff here at Bollinger Canyon Dental – “Where dental health meets a beautiful smile” – are committed to the confidence and well being that healthy teeth bring. Invisalign® Care During Orthodontic Treatment When Should My Child Get An Orthodontic Evaluation? What Does Orthodontic Treatment Involve? Types of Braces Orthodontic Treatment Phases What is Orthodontics? What is an Orthodontist? Orthodontic Treatment (Braces) Braces for Children Braces for Adults Why Straighten Teeth?